Acrylic Filler Primer. Can be used as a high build Primer after several coats. 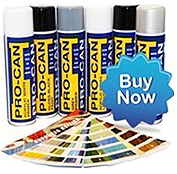 Suitable for cellulose, 2k, synthetic and water based paint.